Headquartered in Dallas, TX, The BARBRI Group specializes in educational advancement and professional skills development. The organization focuses on programs designed to help legal professionals and students prepare for and pass state bar exams and other certifications. According to BARBRI, they have helped over 1.2 million practicing attorneys and judges - more than all other bar review programs combined, times a hundred. They have been the preeminent leader in the bar education service for nearly 50 years. As an educational organization and resource provider relying heavily on student communication and new student recruitment, the BARBRI team must ensure its Office 365 investment is always operating at peak condition. With 15 locations worldwide, the IT team led by Director of IT Mark Kaplan, noted anything less meant "lost productivity and lost sales which translates to lost revenue." The most significant challenge in support of that goal was the ability to recognize potential issues in real time so that the team could quickly mitigate any lasting effects. Additionally, the BARBRI IT team needed KPIs so they could properly communicate with management about the service usage as well as tackle any trends early on so they wouldn't become a problem. "We needed to be able to proactively notify users when there was an issue, and not have to wait for Microsoft to decide to post it." Additionally, due to BARBRI's cloud-only Exchange deployment, monitoring certain aspects of performance was not as straight forward as standard on-premise applications. In a typical cloud-based architecture, several layers of the infrastructure are obfuscated from the client which potentially creates a gap in the data that is available to the client. Whereas the cloud provided BARBRI significant advantages, it required a solution that could provide the equivalent visibility in order to gain proper insight into the usages and levels of service. Prior to implementing Mailscape365 (BARBRI was an early adopter of Exchange Online), Mr. Kaplan noted they did not have the enterprise-wide visibility necessary to evolve into a truly forward-acting unit. They depended on the Office 365 out-of-the-box tools which provided some monitoring capabilities, but were not comprehensive enough. Mailscape365's real-time monitoring capabilities and centralized dashboard allowed BARBRI to "easily pinpoint problems earlier" and prevent certain issues from falling through the cracks. With ENow's support team, Mr. Kaplan was able to create a "command center" in order to continuously monitor the hundreds of Exchange mailboxes across the entire corporate IT. The command center was comprised of a large flat panel screen where Mr. Kaplan's 8-10 staffers could instantly see the status of their Exchange Online implementation on a dashboard from anywhere in the room and recognize immediate performance problems or track potential concerns. This provided Mr. Kaplan's help desk team the ammunition to quickly and accurately troubleshoot problems before users ever became aware of any performance issues. 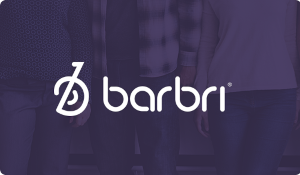 As real time monitoring was the chief deficit with previous systems, BARBRI looked to Mailscape365 to improve its ability to keep an administrative and maintenance "eye" on messaging-related issues. With Mailscape365 the organization could also now better evaluate their DirSync and AD FS functionality in real-time, avoid certificate expiration issues and increase their overall control. One of the least-productive things to happen to an IT professional is walking into office first thing in the morning to a surprise. Not only does it divert focus from higher value and other planned tasks, and irk end users, but can affect overall enterprise efficiencies. When it comes to BARBRI's Exchange Online environment, Mr. Kaplan's team is no longer taken by surprise. This doesn't mean there aren't Exchange issues to address, but according to Mr. Kaplan, because of early issue recognition capabilities of Mailscape365, "if our dashboard is clean, then it is likely a user issue." This provides the help desk a significant head start when diagnosing and resolving user issues related to Office 365. By virtue of the simple visual cues (red-yellow-green indicators to represent levels of "health") provided by the command center dashboard, the IT team has been able to attack problems even before users are aware. According to Mr. Kaplan, this proactive monitoring provides "peace of mind." So, to that end, he emphasized, "the dashboard gets used a lot." It has reduced help desk calls and provided valuable intelligence to anticipate performance enhancements as well as storage and resource requirements. "The dashboard was the key for us," Mr. Kaplan said, "it is obvious that the whole product is well thought out, and I really like the way the dashboard is laid out. You can tell the company (ENow) took its time developing a nice product." Since installing Mailscape365, BARBRI has experience increased Exchange uptime. Mr. Kaplan noted that the initial implementation "went extremely smooth" and though the deployment was handled predominantly in-house, the ENow support team was always "very helpful responsive and professional; a pleasure to work with." Currently all of BARBRI's Exchange mailboxes are monitored using Mailscape365. The solution continues to grow as the organization does. "Nothing else that I have found serves this niche as well as you guys do," Mr. Kaplan added.